Quartz crystals have many amazing qualities-perhaps most extraordinary is their ability to transduce energy. Quartz crystals can take one form of energy and cause it to change form, moving up the energy spiral. Sound, for example, can become electricity… (96-97). 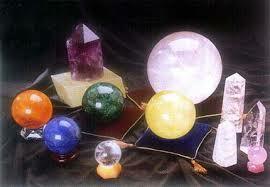 As Goldman asserts, crystals are powerful, transformational tools, capable of even turning sound into light. While we may consider crystals to be both inert and lifeless, the reality is they constitute and comprise the very essence of our physical and even energetic composition. Our bodies, like crystals, are composed of silicone and water, and that is why we can so intensely feel the vibration of a crystal bowl resonating within us. If we believe that crystals are as much a part of the web of connection as we are, then we can readily recognize that crystals have the ability to act as intermediaries, enabling us to communicate and connect with higher levels of consciousness and existence. 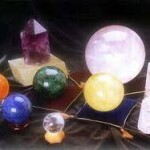 Universally speaking, crystals are really just another manifestation or reflection of who we are.